This year we’re focusing on organising events which provide our supporters with opportunities to learn, connect and skill-up. Find out what is taking place near you below. 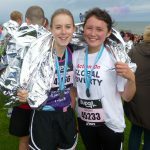 Want to join our team for the Great North Run 2014? Apply NOW to join our team for the world's greatest half-marathon this September. 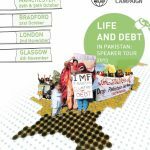 A UK-wide speaker tour with Abdul Khaliq from CADTM-Pakistan on the impact of sovereign debt on life in Pakistan, and the struggle against it.